We will pursue produce sourcing strategies to reduce food processing and transportation, purchasing 20% of U-M food in accordance with U-M Sustainablity Food Purchasing Guidelines. Michigan Dining composts pre- and post consumer food waste in all dining halls. Michigan Dining partners with The Food Recovery Network to donate uneaten, prepared foods to Food Gathers, a local food bank. During the growing season, weekly farmers markets are held on campus, in collaboration with Central Student Government. The UM campus farm is piloting a CSA with hope to incorporate the produce into the dining halls to create a closed loop system. Michigan Dining purchases produce from local farmers. Most of the meat served at East Quad is purchased from farms less than 250 miles from Ann Arbor. Our cafes and markets carry a large selection of locally made snacks. All dairy served on campus comes from Michigan dairy farms within 100 miles of campus. Michigan Dining spends 27% of its food budget with Michigan Farms and companies and is constantly looking at ways to increase this number. Two Michigan Dining restaurants, The Fireside Café and Fields, make purchasing from local farms a priority. Student Life has committed to trayless dining in all dining facilities. The University of Michigan is the first Big Ten university to achieve Marine Stewardship Council (MSC) Certification to support sustainably managed fisheries. The University of Michigan Sustainable Food Program (UMSFP) brings together 10 student groups focused on sustainable food.  The Associate Vice President for Student Life and the Director of Student Life Sustainability Student Engagement are active on UMSFP’s Advisory Board. The Ginsberg Center for Service Learning supports Cultivating Community, a student group with campus gardens. Recreational Sports supports Outdoor Adventures, a student group with campus gardens. How You Can Make A Difference, Too! Have questions? Campus Information has answers.